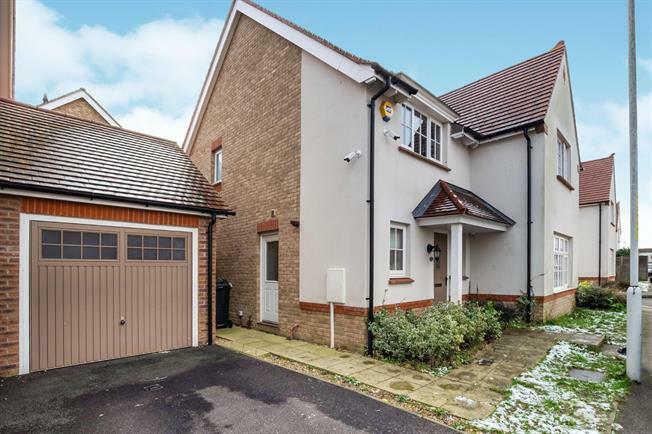 4 Bedroom Detached House For Sale in Maidstone for Offers in the region of £390,000. Bairstow Eves are delighted to offer for sale this generous detached family home in a sought after location. This sizeable detached home should be viewed as it has a lot to offer. There is a front and rear garden, driveway to the side and a garage too. Inside, there is a hallway, living room, cloakroom and large open plan kitchen, dining room and family room. The kitchen also boasts a utility room. Upstairs, there are four bedrooms and a family bathroom plus an en suite to the master bedroom. The house is a must see.